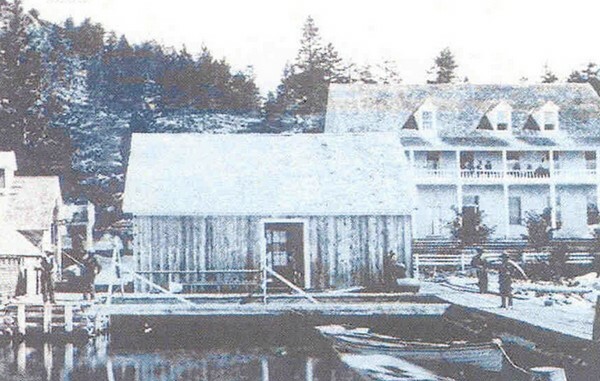 1869 – 1870 : Billy Campbell and Henry Burke took title to 63 acres surrounding the hot springs and built a 40′ x 60′ hotel and 5 two-room lakeshore cottages. 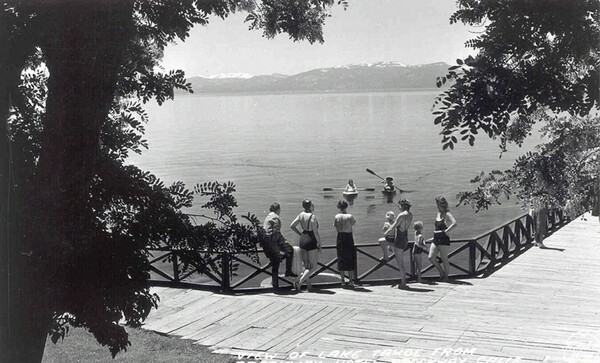 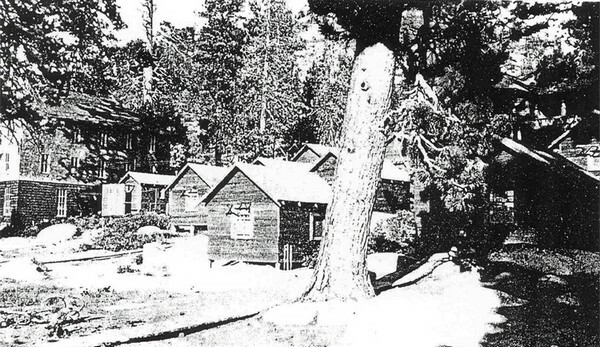 Originally called the “Warm Springs Hotel”, Campbell erected a 20-foot square bathhouse over the mineral spring that boiled out of a large rock at Lake Tahoe’s Waters edge. 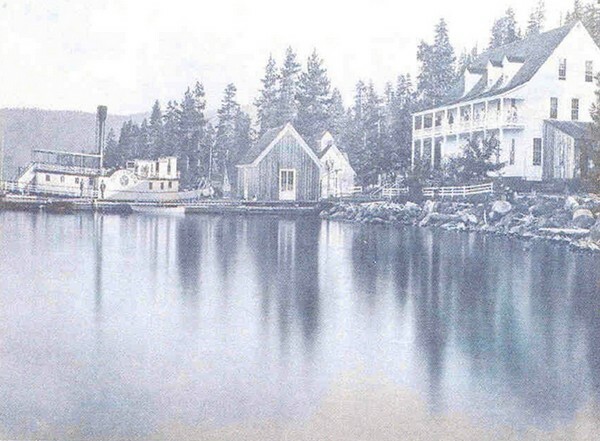 1875 : Reverend R.A. Ricker leased the hot springs to assist guests with their spiritual counseling. 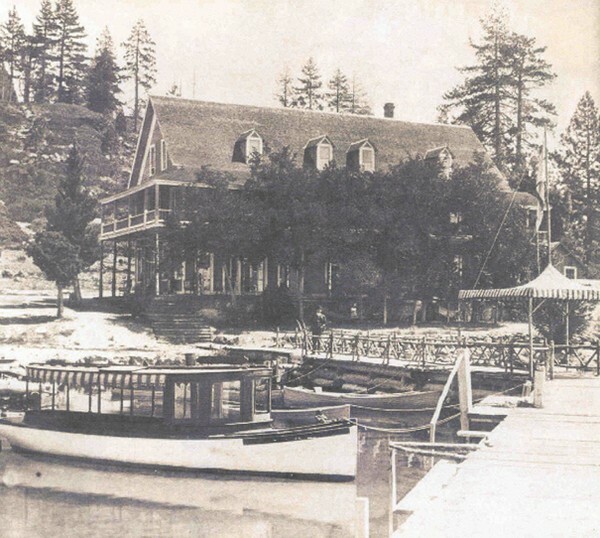 June 1883 : A.T. Bayley leased the resort from Campbell, renamed it “Carnelian Hot Sulfur Springs” and placed his son in charge. 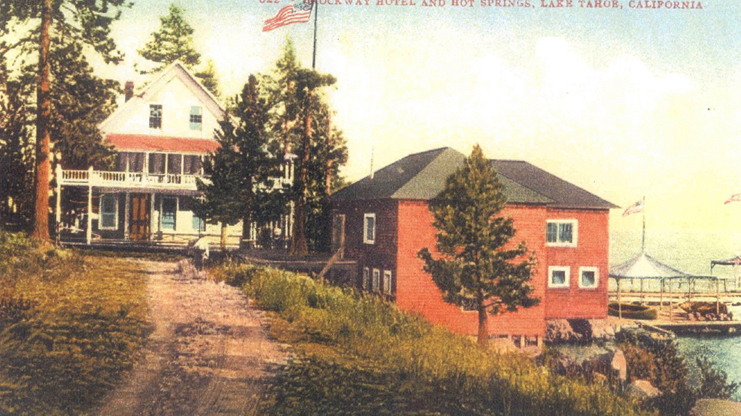 1900 : Frank “Brockway” Alverson and his wife, Nellie Staples Dow Comstock Alverson, purchased the hotel and surrounding property for $3,500 and renamed the resort “Brockway Hot Springs”. 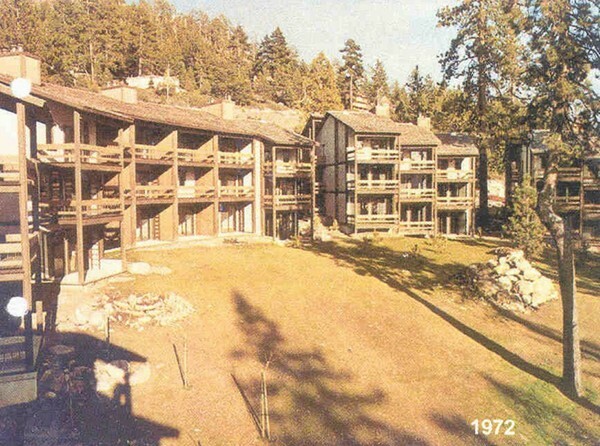 The new slogan became, “Top of the Map, Top of the List”. 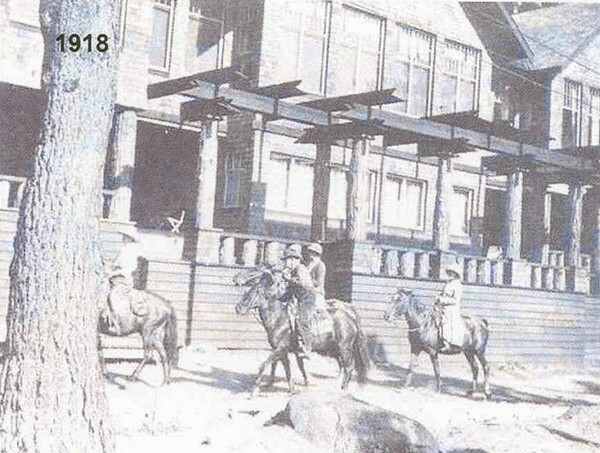 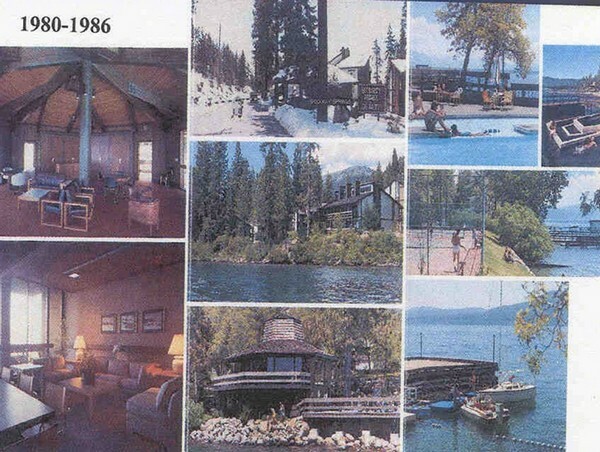 1909 : The Alversons were forced into bankruptcy and sold the hot springs to Lawrence and Comstock of Tallac for $9,000. 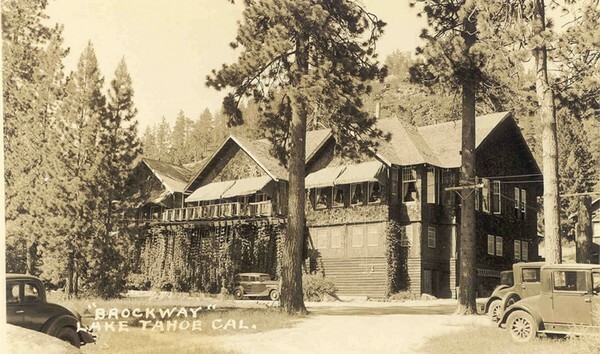 1917 : The Brockway Casino and Dining Room Building was constructed in 1917. 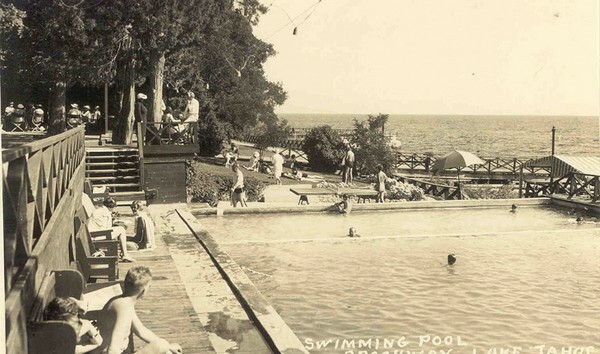 The Brockway Post Office was moved west and an above lake swimming pool was planned. 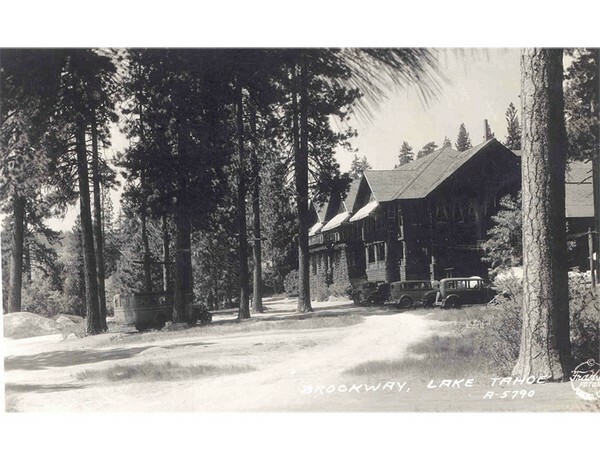 1932 : The Brockway Hotel, Inc. was formed, principal stockholders were members of the Harry O. Comstock family. 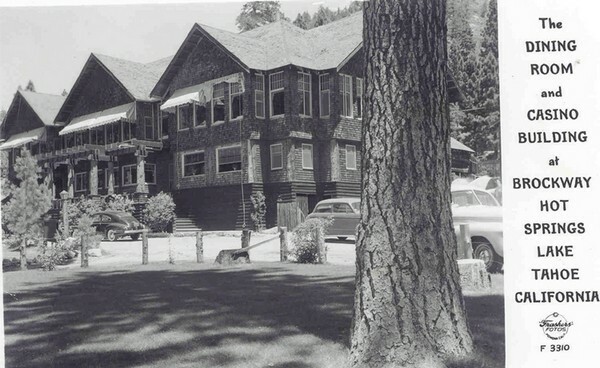 March 1954 : Harry O. Comstock after managing the Brockway Hotel for 39 years, died and daughter Gladys and son-in-law, Maillard ‘Pete’ Bennett, became managers of the 85-year old resort during the 50’s and 60’s. 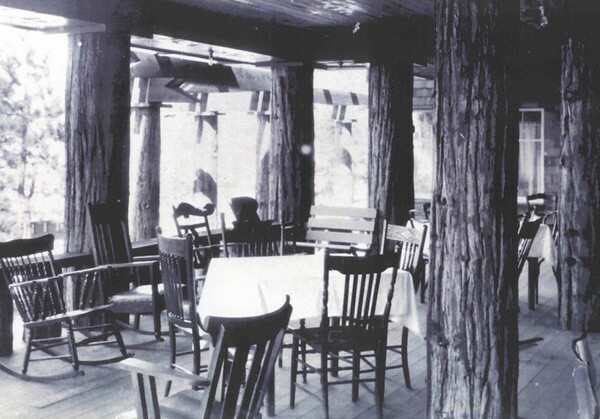 May 18th. 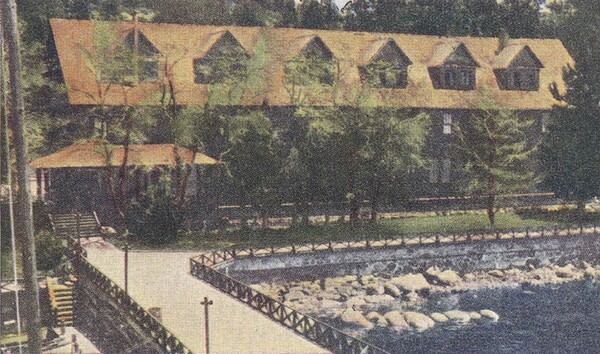 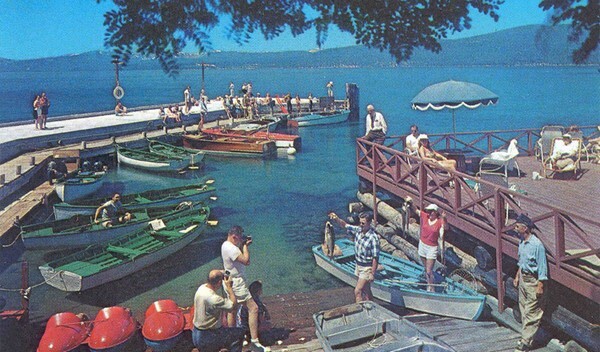 1961 : The main hotel lobby overlooking the lake burned to the ground. 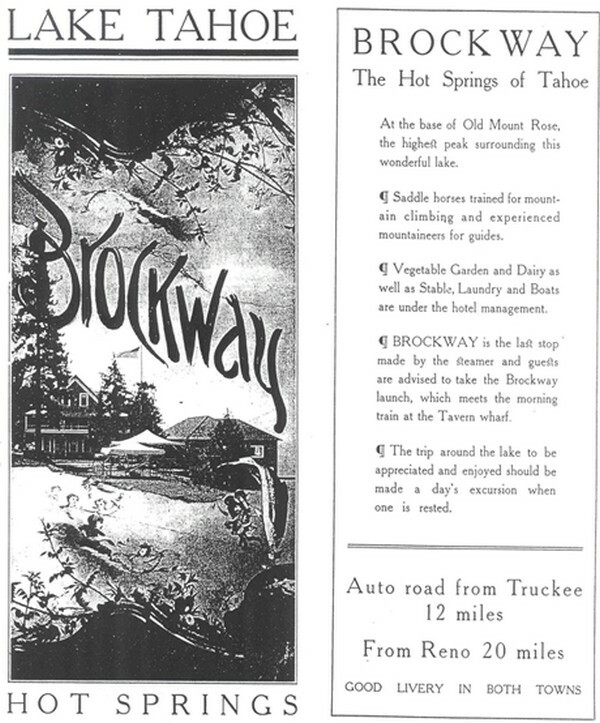 September 1966 : The Brockway Hotel, Inc. closed the Brockway Hot Springs Resort for the last time. 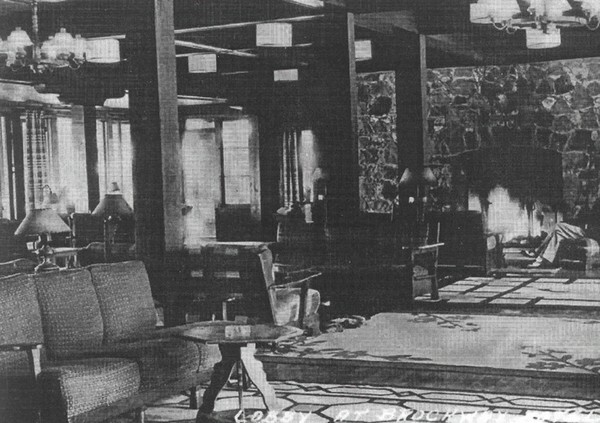 December 1970 : The remaining Brockway Casino and Dining Room Building was demolished to make way for future construction of the recreation component of the Brockway Springs Condominium Project.